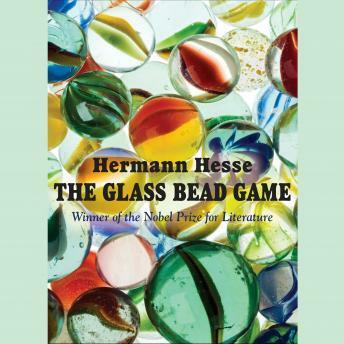 Set in the twenty-third century, The Glass Bead Game is the story of Joseph Knecht, who has been raised in Castalia, the remote place his society has provided for the intellectual elite to grow and flourish. Since childhood, Knecht has been consumed with mastering the Glass Bead Game, which requires a synthesis of aesthetics and scientific arts, such as mathematics, music, logic, and philosophy, which he achieves in adulthood, becoming a Magister Ludi (Master of the Game). Well worth the effort despite the lengthy intro. Probably Hesse's most in depth novel and most intriguing. If you like this, try Steppenwolf or Narciss and Goldmund. Audiobooks are the business when hiking and travelling light.